On Sunday morning I found myself up early with nothing to do, so quite out of character I hopped on the first bus which pulled up at the bus stop and rode it until its destination which just so happened to be Gare de Lyon. 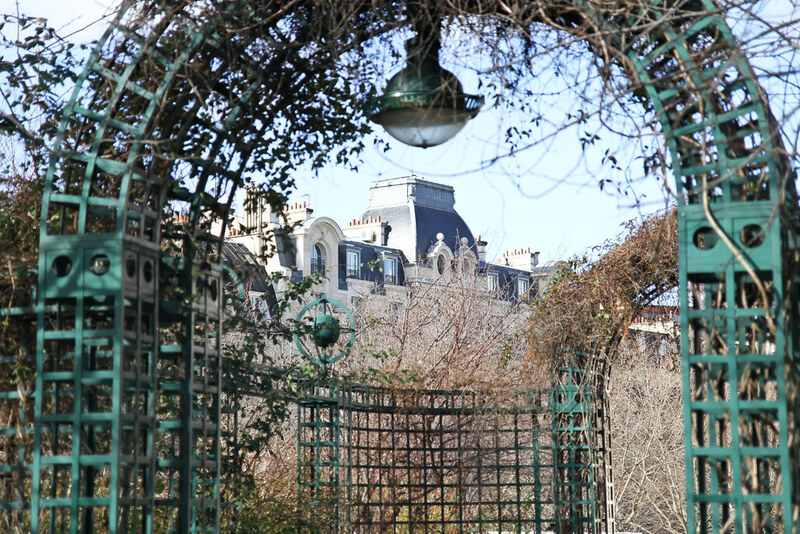 As I was walking around in search of a little inspiration I looked up to see the steps which lead to the Promenade Plantée – a secret green space elevated in the sky. 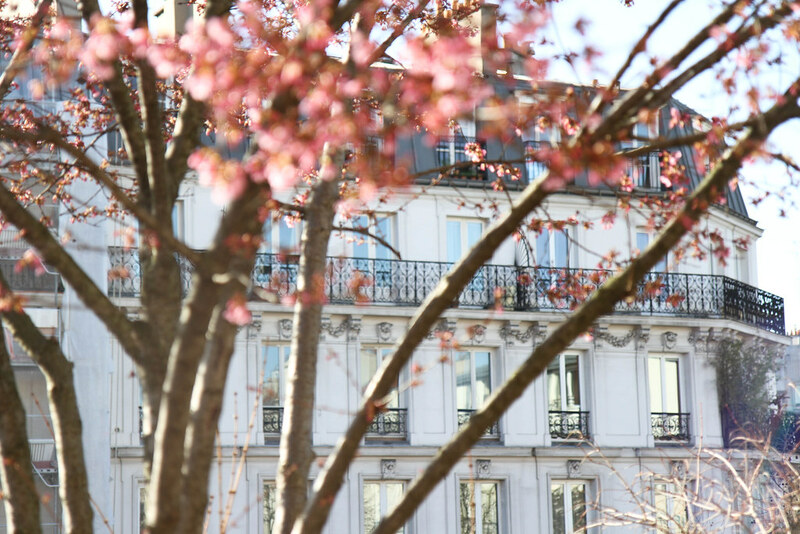 As you trace the path of a former railway you’ll find yourself at eye-level with rows of beautiful Haussmannian apartments. 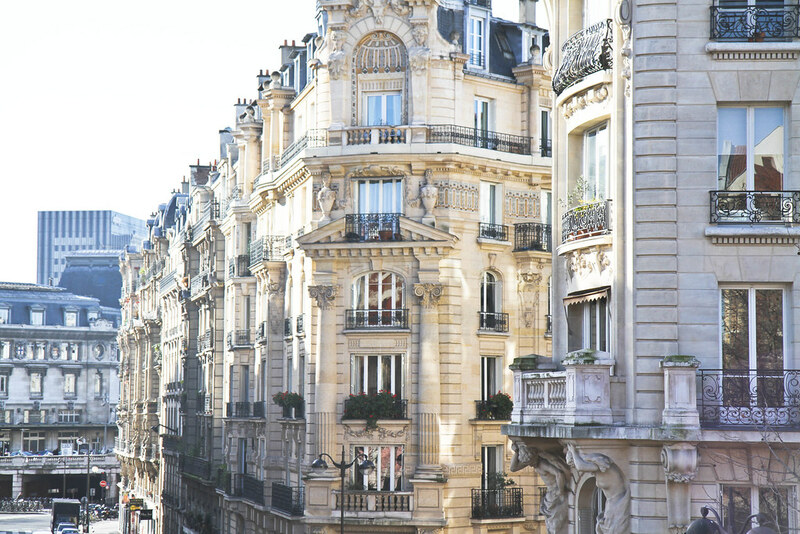 If you’re anything like me, you won’t be able to stop yourself from dreaming about your future balcony where you’ll one day sit and eat brunch al fresco. 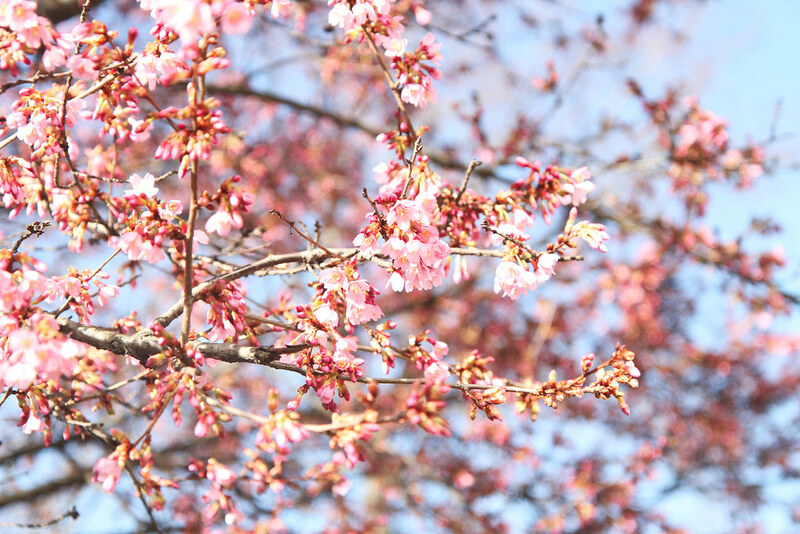 You wouldn’t believe my surprise when I saw cherry blossom trees beginning to flower, I had to pinch myself at the sight of these blossoming buds so early in the year. All this got me to thinking that sometimes the most spontaneous decisions can lead to the most glorious outcomes. Beautiful collage and beautiful pictures!! You’re photos are so lovely as always! Ahh thank you that makes me so happy to hear! Signs of an early spring?! Beautiful photos!! Gosh I can only hope! Those are some beautiful buildings. I can just imagine the lux apartments inside them. Great pics. Thank you! 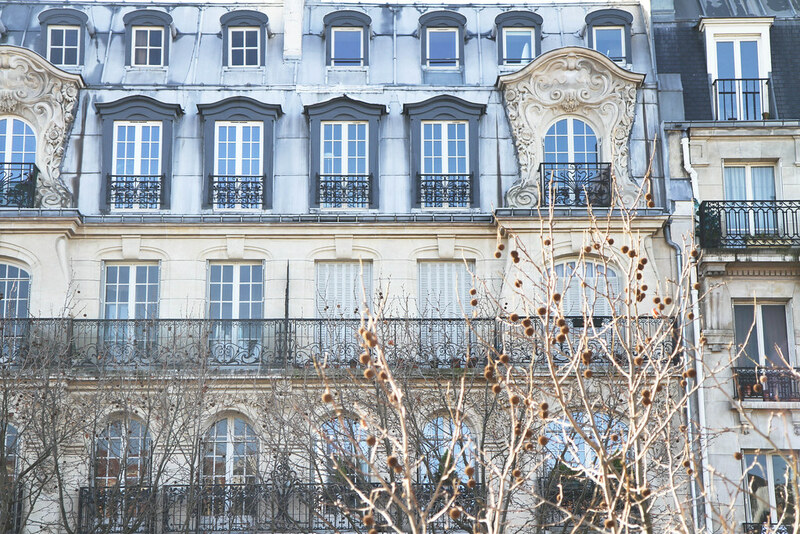 I know – you can almost peer into the windows and into the lives of those living in them! 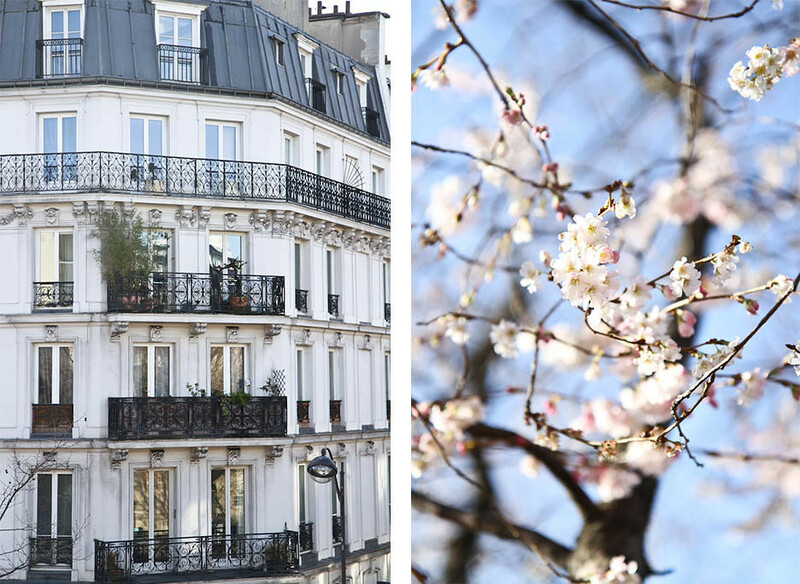 Stunning photos, you really captured the first blossoms of spring! 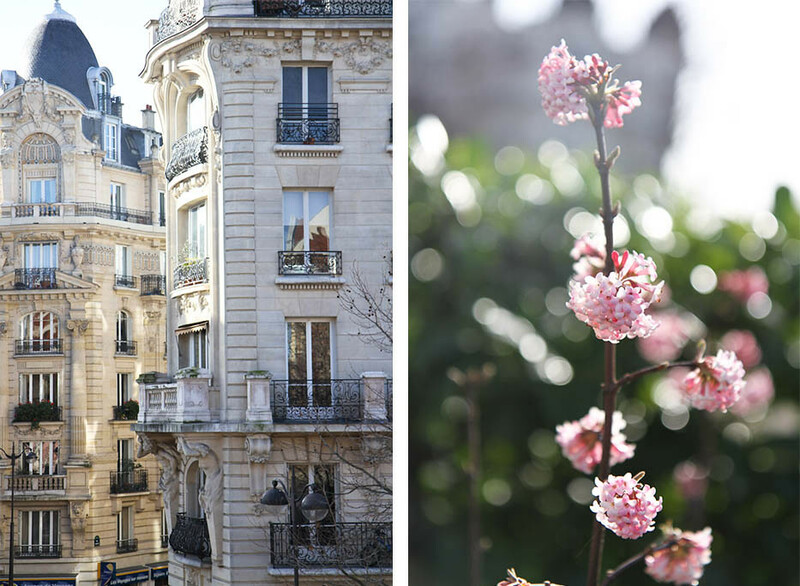 If only spring were actually on its way now..
How lovely to be able to just spend a day wandering around Paris, taking photographs and people watching! Awwww hon wonderful pictures. Love all of them. You seem a talented person! Thank you so much that is so kind of you to say! I absolutely love the High Line in NYC, so I feel like I found love this place too! Beautiful photos. I’ve always dreamed of walking the high line in America! 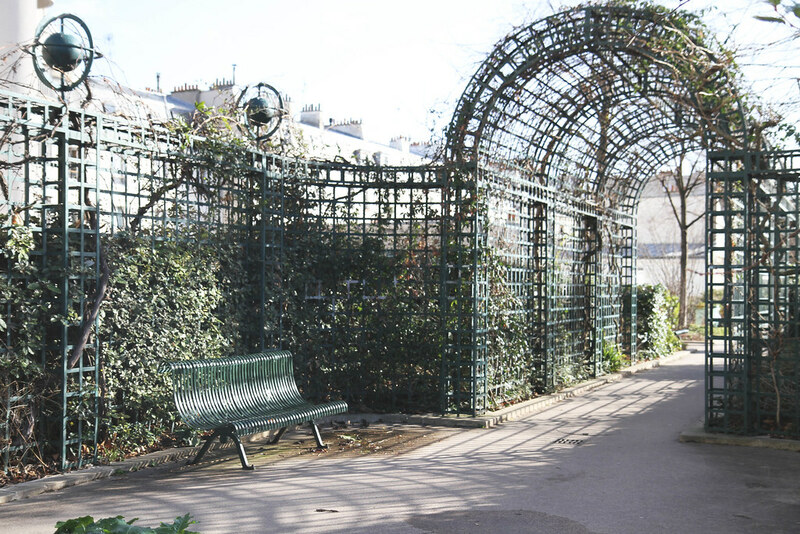 My photos are nothing compared to yours, I definitely feel like I am living Paris through your images! I will definitely back for more!